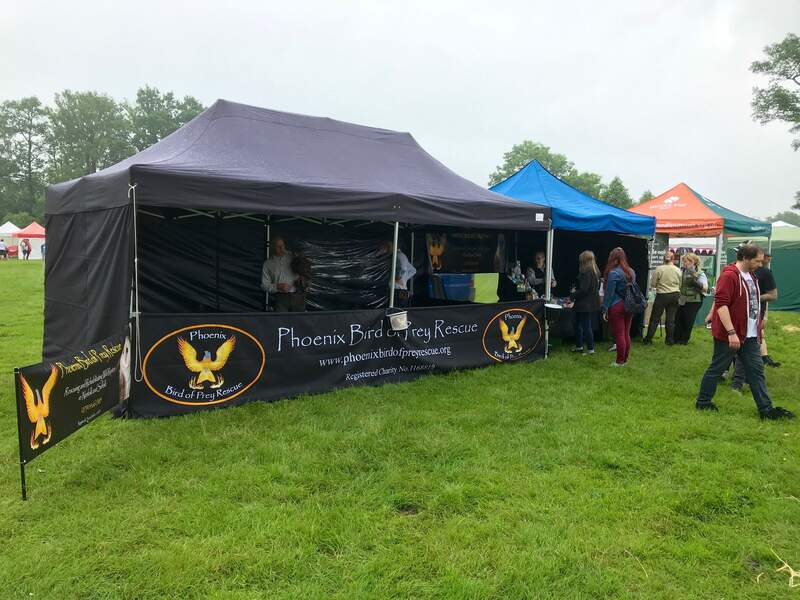 Members of the Phoenix Show Team attend many country shows and events throughout the summer season and are available to visit clubs, schools and groups during the winter. 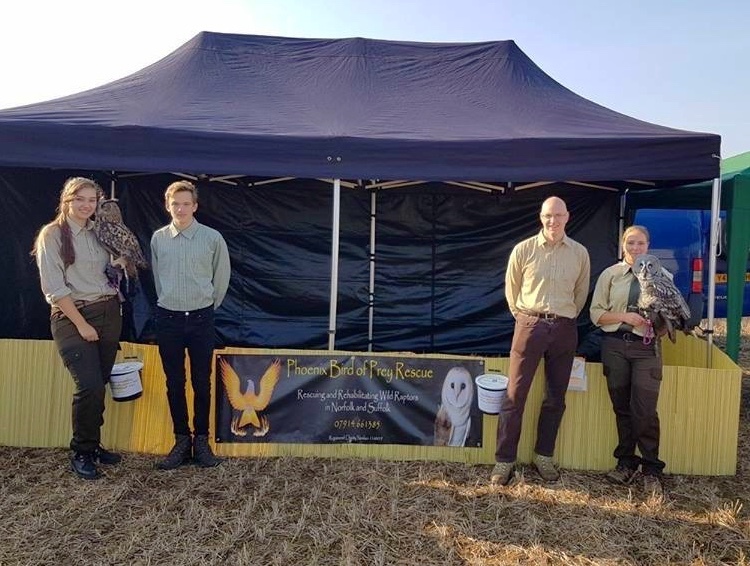 The money we raise through these activities is essential to continue the work we do with sick and injured Birds of Prey. Obviously, the wild birds that we rescue are treated in our hospital and then rehabilitated in secluded aviaries until they are ready to be released, so you will not see these at the shows. However, we do have a small number of captive-bred birds of prey who are looked after by our experienced falconers and they attend our shows and visits so that we can educate the public about Birds of Prey. If you would like to meet some of the team in person, please see the current list of events we are attending below. 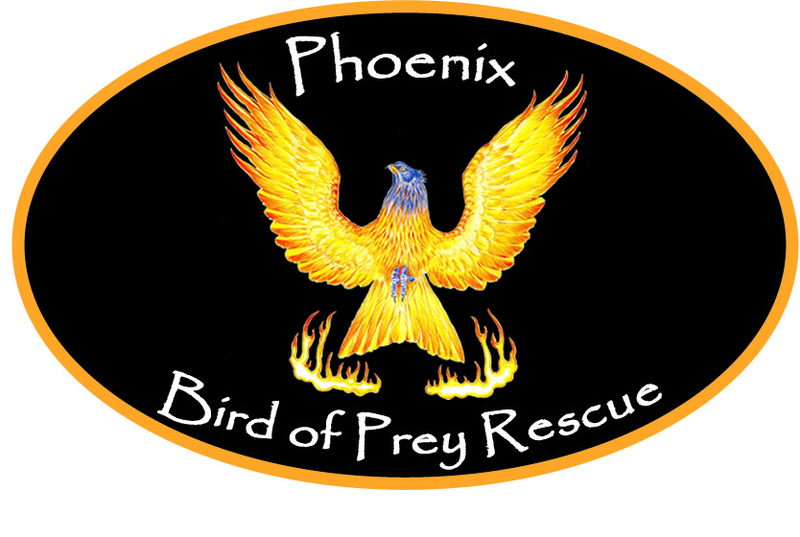 Follow us on Facebook to keep up to date with Phoenix Rescue news. 13th - 14th: Framlingham Country Show, Suffolk. 26th - 27th: Costessey Fete, Costessey Village Hall, Norwich, Norfolk NR8 5AH. 1st - 2nd: Elveden Country Show, Elveden Estate, Suffolk IP24 2TD. 22nd: Hoveton Village Show, Norfolk. 26th - 27th: Royal Norfolk Show, Showground, Easton, Norfolk. 30th: North Walsham Family Fun Day, North Walsham, Norfolk. 13th - 14th: Poringland Fete, Norfolk. 3rd: Belton Family Fun Day. 3rd: Beetley Village Hall, Norfolk. Talk. 15th: Mundsley Dog Show, Norfolk. Talk.